HomeMediaConcert PhotosWho is Radkey and Why You Need to Know Them! 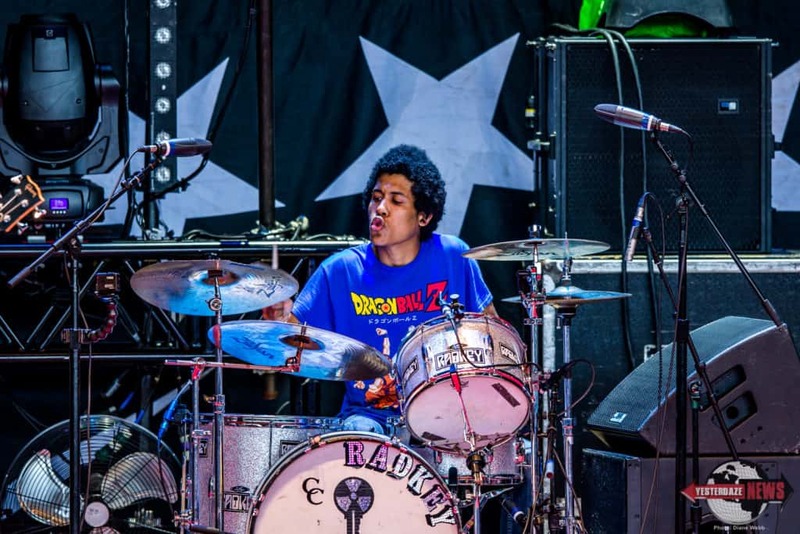 Who is Radkey and Why You Need to Know Them! Last year, 2016, I had the chance to catch Radkey perform at Pain in the Grass 2016 in Auburn, WA. I hadn’t heard of these guys before but as soon as they started playing I knew it wouldn’t the last time I’d see them. 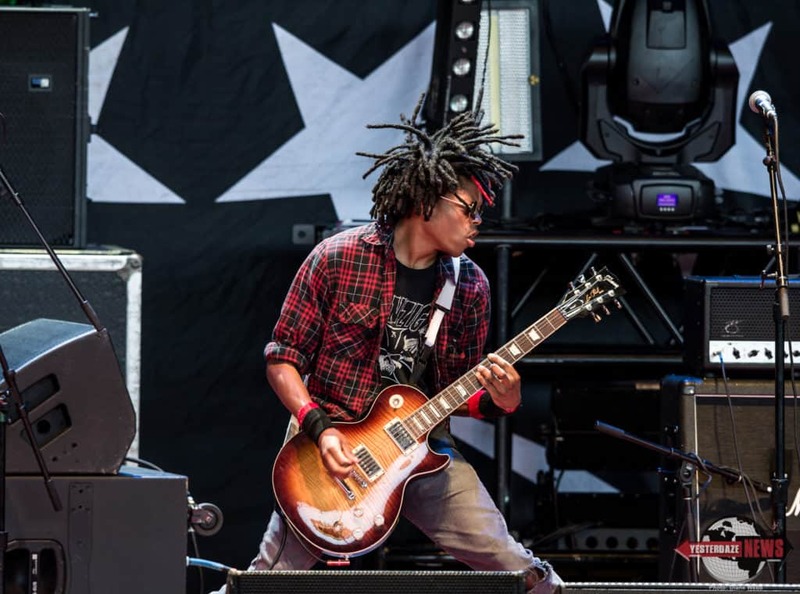 Fast forward to 2017 and we were back at Pain in the Grass 2017 and Radkey was not simply an upcoming band on the side stage, they were a little more well known and up on the main stage rocking the stage and fans ahead of the bands The Pretty Reckless, Babymetal, Stone Sour and Korn. Not a bad gig if you ask me! So why Radkey? What makes them stand out? Well aside from the simple fact they are a band of 3 brothers who were home-schooled in Missouri and are now touring all over the USA, these guys are making some really good music that’s a bit funky and fresh sounding with really fun and recognizable lyrics. These guys are definitely talented musicians, playing music that pulls at me to keep listening. Every time I listen to them, I want more music. I honestly can’t wait to see what’s to come from them in the future. 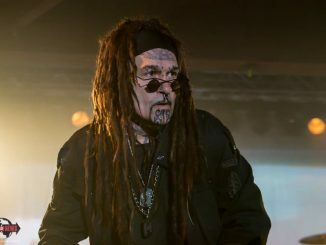 While they were in Seattle this time I had to sit down and chat with them about their music and of course, catch their live performance which was completely entertaining and had the fans up on their feet. Check out what the guys had to say below. YDN: Do you find that your fans recognize you more today? Dee: Yea, it’s been really cool. Last time we played here it was really fun and this time was even better. People love the lyrics to some of the songs and it’s been really cool. Isaiah: We are loving it. Do you have a lot of fans approaching you to talk about your music or just wanting to chat with you? 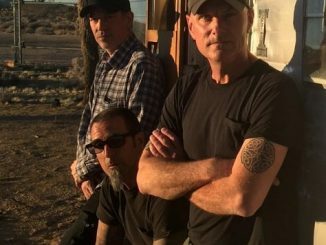 Dee: They are pretty much just excited and want to talk about what the music reminds them of. Stuff like that. How long have you guys been making music? Radkey collectively answered: 6 years. Do you have a summer tour after the festival? Dee: I don’t think we do. Just a few festivals and then we are going to record some. Have you guys been working with people that have inspired you? Dee: Yea man, we started working with Bill Stevenson and Jason Livermore and they are really awesome. We worked on that track Marvel with them. The Descendants are awesome and we played some shows with them and that was cool. If you guys had a dream tour, what would that look like? Dee: Weezer and the Queens of the Stone Age. How did you guys develop your funky sound? You have a really cool vibe in your music that’s a lot of fun. Dee: Yea all that stuff. Is there anyone you guys are planning to check out today? Dee: We actually have to start driving. Awe that’s too bad, a lot of bands hitting the festivals tell me the same thing too, they have to leave right after their sets. Dee: Yea it’s insane. We usually don’t get much of a chance to check anyone out. Where do you guys hope to see yourselves in say, 5 years from now? Isaiah: We’d love to be playing a bunch more shows. We’d like to have more fans. I don’t know, we’d just like to keep doing this pretty much everyday. If we can spread the music, hopefully that’s possible. Now, the band has played on a mix of smaller and larger stages. What’s your preference to play on? Isaiah: We love clubs man, but if we get that right theater mix it’s pretty sweet. I’d love to get to that level some day. So now that you’ve been out on tour a bit I have to ask, anything happen at a show that’s been really memorable or super insane? Isaiah: One time Dee had a knife thrown at him. You had a knife thrown at you? That’s pretty terrifying. Dee: Yea, that was in New Orleans. Isaiah: That’s pretty much the most interesting Radkey story from the road. Most of our shows are so chill. Then we played Pizza-Gate and the day after they had a guy show up with a gun and shot at the ground, that was pretty crazy too. That’s wild, no one would expect that at one of your shows, your vibe is so relaxed and fun. Ha, that’s just insane. Thanks for coming out and thanks for the interview guys! I am sure we will be hearing a lot more from you to come! Radkey‘s most recent release is “Delicious Rock Noise” released in November 2016 out via Another Century. 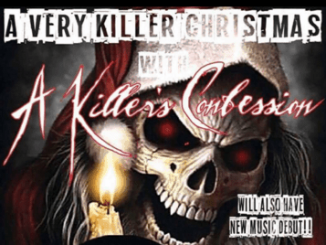 You can pick up their music via iTunes and Amazon. Watch out for new music in the future and catch the guys on tour if you get the chance. Great music and an energetic and fun live show. 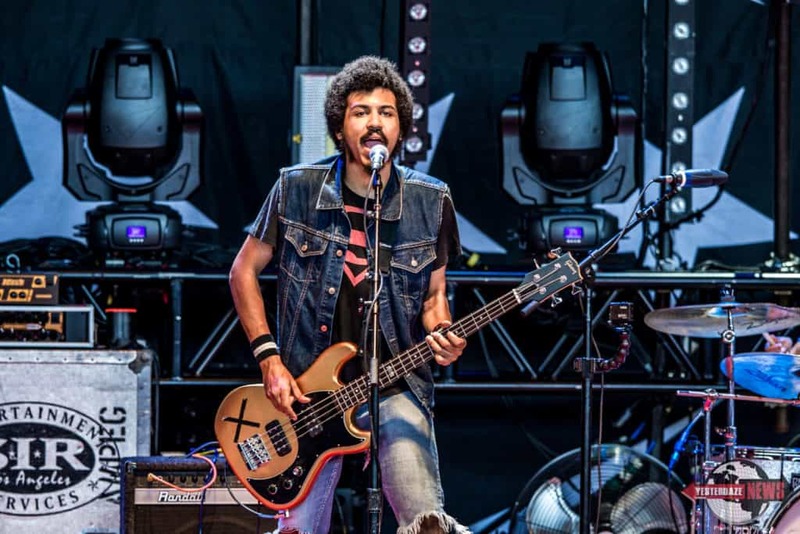 Check out our show photos of Radkey at Pain in the Grass. The full album is located here on our Facebook Page.